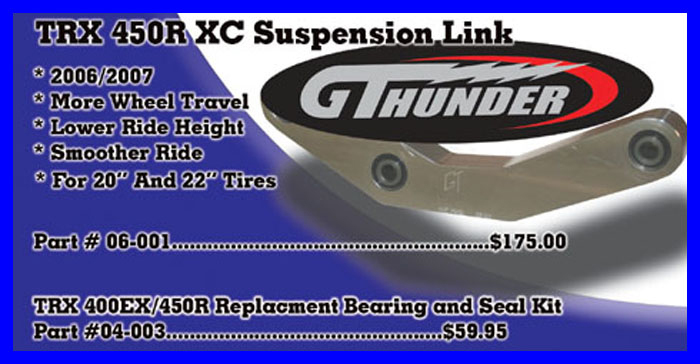 This link is designed for XC riding, with 20" or 22" tires. It will lower your quad, add wheel travel, and give you a softer ride. It is designed for a stock length shock.